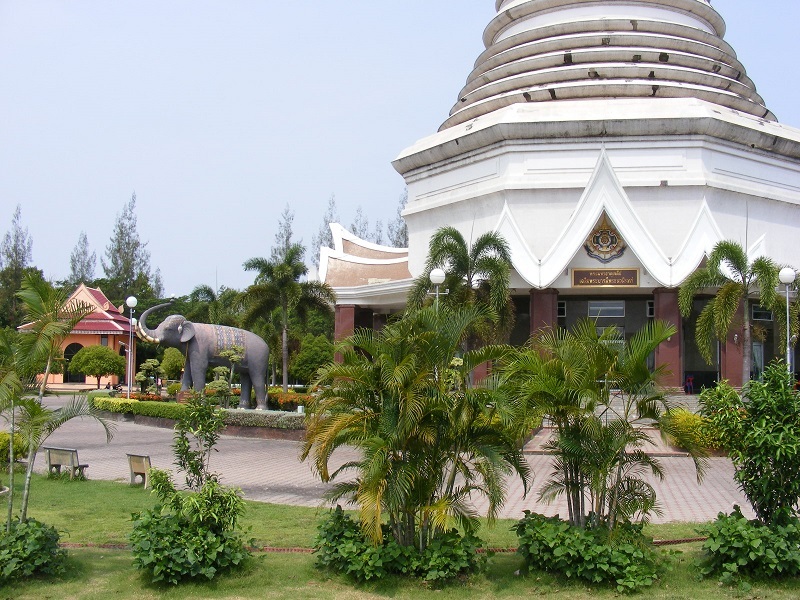 Located a little to the north of Udon Thani city, and close to Na Kha Silk Village, Wat Pha Ban Koh, featuring the Phra Mahathat Chedi, makes for an ideal diversion or 'add-on' if you are taking in the sights of this part of the Province. 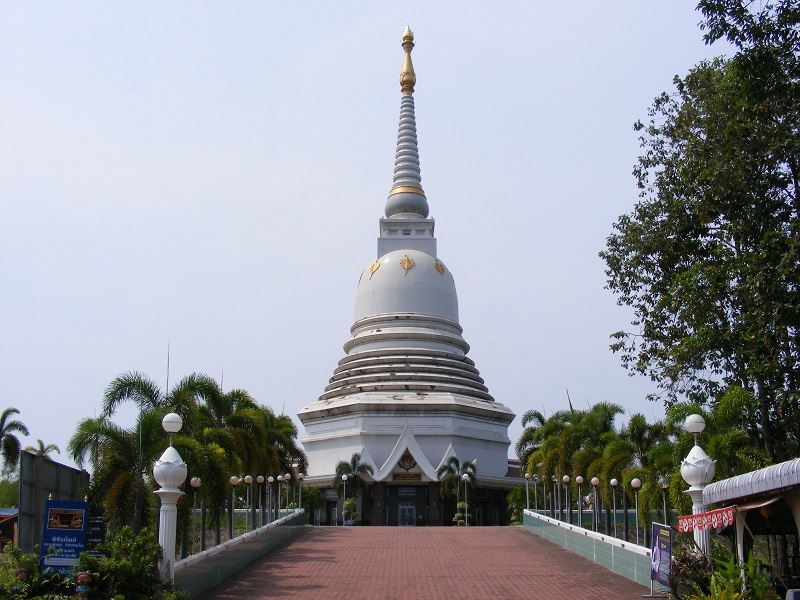 This temple is located in Tambon Khuea Nam, where there is Phra Mahathat Chedi Chaloem Barami Phra Nawamin, which is a pagoda that contains Lord Buddha’s relics. 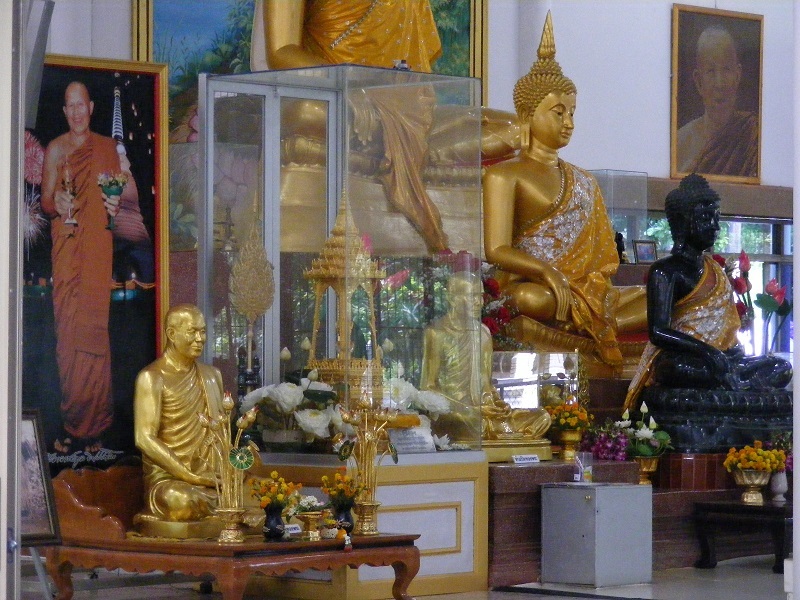 On the inside of the pagoda, there are sculptures depicting the history of Lord Buddha, Buddha images and jataka stories. The temple is ideal for practitioners of Buddha’s teachings (Dharma). 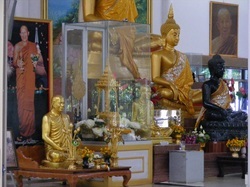 It has been designated by the Udon Thani Administration Office as the 'Udon Thani Chaloem Phra Kiat Mind Development Centre', and both Thai's and foreign visitors can often be seen to practice Dharma here. From a tourists point of view, this location does not have a great deal to offer, except for two great aspects. The actual temple is large and quite spectacular, and if you visit in the early evening, say about 1 hour from getting dark, you will hear lots of birds making a strange, fairly high pitched noise, which gets loud when a good number of them do it simultaneously. I have not been able to find out what species of bird this is, but that is not really important. It is a rather impressive experience all the same and to not see this temple 'in the flesh', would be a shame. Guarding the temple are two large stone elephants, and a really well maintained garden area. Also on site are lots of buildings where the monks quarters are and a large number of toilets, which are accessible to the public. Opening times are 6.00am to 6.00pm daily - try to arrive about 5.30 to listen to the bird life. 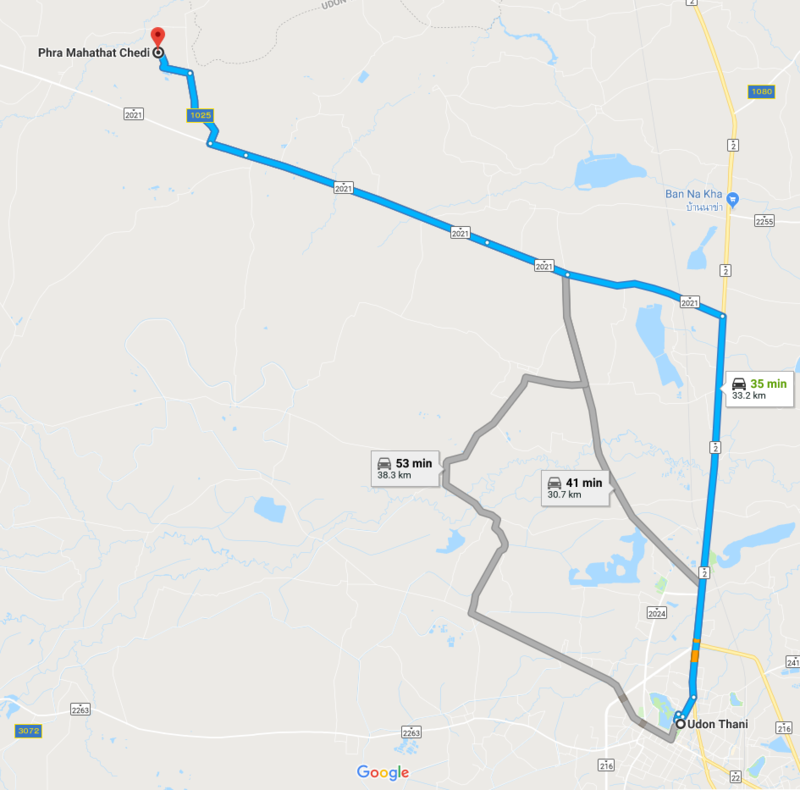 From Udon Thani, take Highway No 2 towards Nong Khai, turn left after 13km on to Highway No 2021, toward Ban Phue. Then travel for another 20 km, where you turn right. The temple is another 3km along this road.